Our mission is to bring glory to God by raising money for charitable purposes and to provide our community a well-organized Thanksgiving Day family event – a 4-mile walk/run through historic Murfreesboro, Tennessee. Please visit our Beneficiaries page to learn about the charities supported by Borodash. 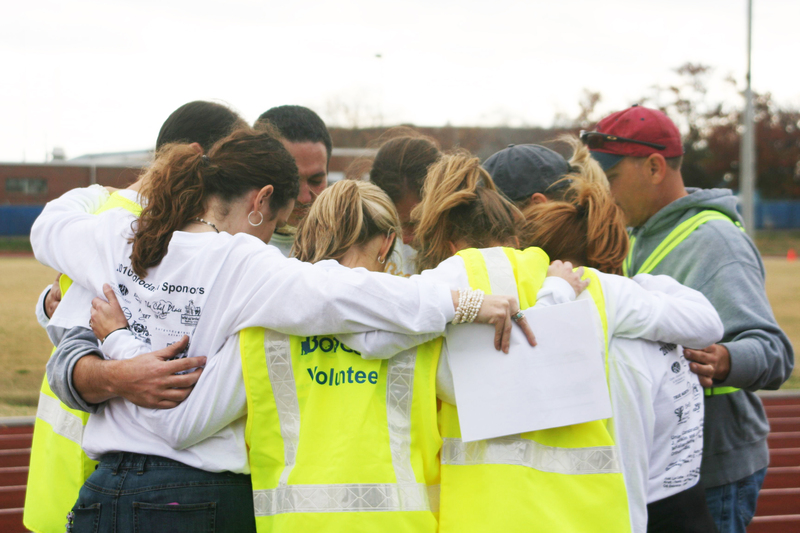 Following the first race in 2010, the Borodash board members gather for a prayer of thanks to GOD. Prayer is an important part of Borodash and this tradition has continued every year.